Wish to view more postings from other members? Sign up today to connect and share with Apple fans around the world! iOS 5.1 Untethered Jailbreak is ALMOST HERE!!!! 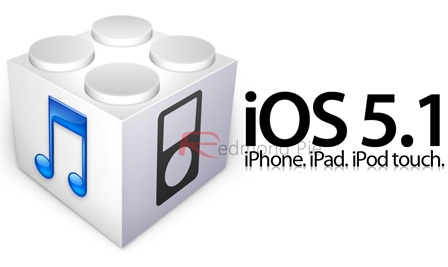 A tweet today by a prominent iOS security researcher has led to speculation that a new jailbreak for iOS 5.1 is on the horizon, though there has yet to be any news as to when the release may take place. The jailbreak scene never sits still, and with master of the art Pod2g now back in the frame, things are moving along nicely with regards to the iOS 5.1 jailbreak. Pod2g recently rejoined the jailbreaking fold, working with the Chronic and iPhone Dev Teams to release iOS 5.0.1 untether tool for the A5 class of iOS devices, with A4 devices also getting in on the fun. Having joined forces in January, the pace has once again picked up, with Pod2g announcing via his Twitter page that the iOS 5.1 jailbreak is coming along nicely. News: we have all exploits required to do a new jailbreak. I’m working on bypassing ASLR at bootup. While the news that a jailbreak for iOS 5.1 is in the works is not really news to anyone, the fact that the team has now apparently in possession of all the required exploits is an important step towards having a fully working, publicly available jailbreak. With internal testing under way, and the man himself now working on bypassing the ASLR at bootup, then we may not to be too far away. The ASLR (address space layout randomization) is particularly important. Added back first in iOS 4.3 by Apple, the new boot checks were made part of iOS in order to add extra security for the operating system, and thus hamper jailbreak attempts. Hacker Charlie Miller subsequently broke ASLR at Pwn2Own, showing once again that anything Apple does to secure its mobile operating systems will eventually end up with the same result – a jailbreak eventually being released. At this point it is important to stress that there is currently no estimated time of arrival for an iOS 5.1 untether. While Pod2g’s announcement is indeed encouraging for the many that are waiting for the release, it does not constitute news that we should expect a release imminently. With Apple always working on adding more security to the iPhone, iPad and iPod touch, it is also possible that a new release of iOS will block attempts to jailbreak once again. We suspect that will just push the people behind the jailbreak scene to simply redouble their efforts, though. Isn’t that the best part of jailbreaking?